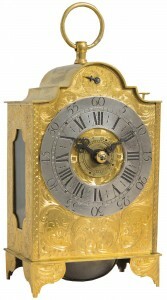 The development of the carriage clock began with the invention of the spring drive. 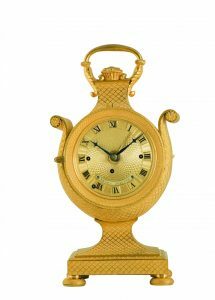 The spring, a spiral-shaped metal band, is tightened by winding the clock and thus becomes the energy storage. 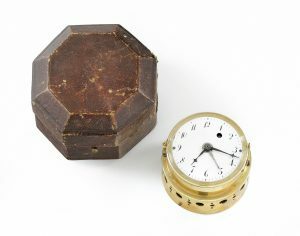 This enabled the construction of more compact and above all transportable mechanical clocks. 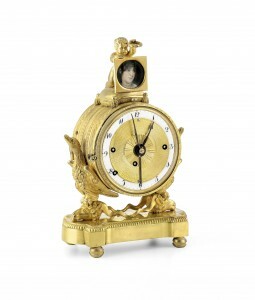 Lilly’s Art has a focus on Viennese carriage clocks, especially those of the 18th century and the Empire style. 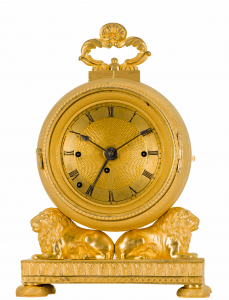 Viennese carriage clocks have elegant cases, which are in most cases out of engine turned fire-gilt bronze (ormolu). 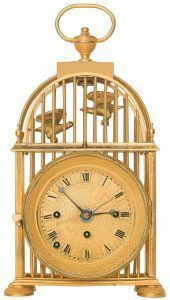 Despite the small dimensions of the movements they are often equipped with the complex Viennese grande sonnerie and an alarm.